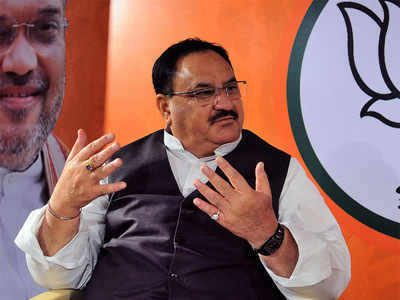 Bhubaneswar: Union Minister and BJP leader J P Nadda today announced names of 182 candidates for the ensuing Lok Sabha elections in the first phase. Of the 182, Nadda announced candidates for ten LS seats in Odisha. As per the list, Jual Oram will contest from (Sundergarh), while Anant Nayak will contest from Keonjhar, Pratap Sarangi from Balasore, Rudra Narayan Pany from Dhenkanal, Sangita Singh Deo from Bolangir, Balabhadra Majhi from Nabarangpur, Baijyant Panda from Kendrapara, Aparajita Sarangi from Bhubaneswar, Anita Priyadarshini from Aska and Bhrugu Buxipatra from Berhampur LS seats.